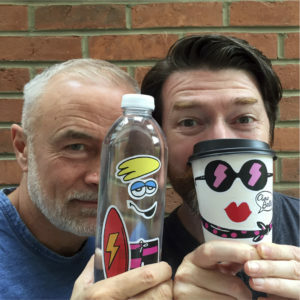 As a couple of creative dads, ex-Aesop Agency ECD, Martin Grimer and ex-Pearlfisher Futures Director, Shaun Jones had an idea that would re-use their talents. Recognising their own kids were spending increasing amounts of time on digital devices, and inspired by the multitude of delivery boxes filling our hallways, they saw a creative opportunity to bring the two together and engage children in an imaginative world of hands on play and making re-use fun. And that’s where the idea for Punkbox came from. An idea that simply takes stickers, colouring in and a bit of imagination to give packaging a second life. 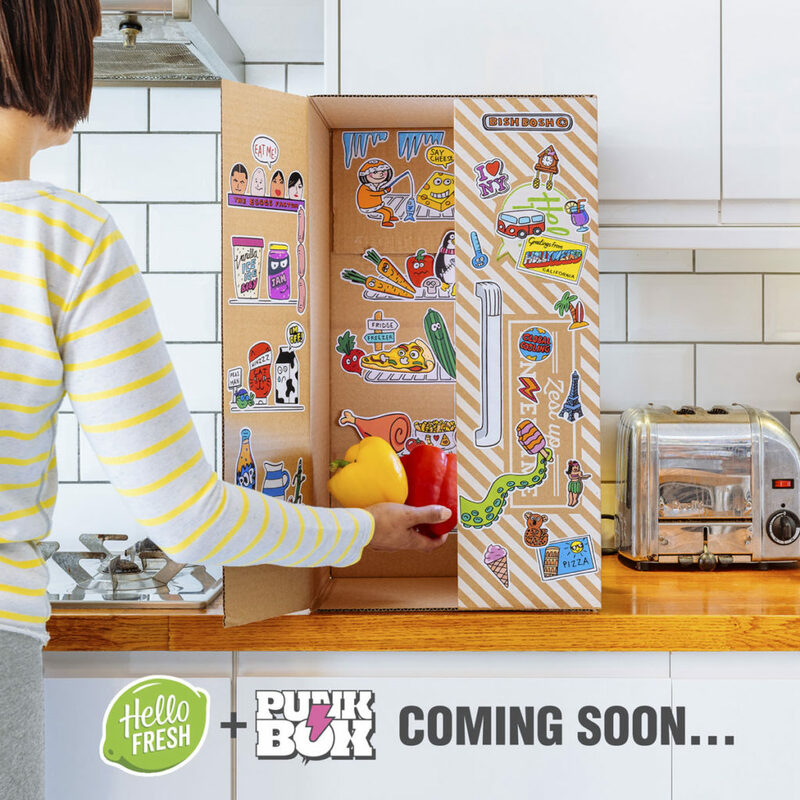 Early on, Punkbox identified HelloFresh as a great potential partner. HelloFresh is the number one recipe box company in the UK, delivering fresh family-friendly recipes straight to their customers door. With a desire to promote more family time and fun, there was an immediate synergy between the two businesses. Working together over the next few months they will be delighting families all over the UK with fun and creativity through their boxes. 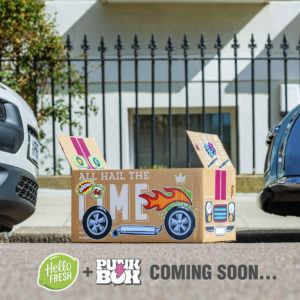 The Punkbox launch campaign subverts everyday objects by putting their stickers and HelloFresh boxes together at the centre of every execution. They wanted to bring a kids view of the world to life. For Punkbox this is just the beginning. With an ambitious plan to expand their products and brand into other interactive spaces they have created the Punkbox Tribe, a cast of cool packaging characters aimed at engaging with kids across both the physical and digital world, inspiring imaginations and promoting re-use.